Pollard Car Service to DFW Airport and Love Field Airport is your provider of luxury transportation in the DFW Metroplex. Whether it’s dinner, casinos or sporting events, our car service is one that will offer you a professional atmosphere with a family touch of attention. We pride ourselves with on-time service and competitive prices that give you a relaxed, no-hassle experience. Our goal is to become your car service for life. Just sit back, relax and let us drive. …and you won’t want to take your own car again. Driving to either DFW Airport or Dallas Love Field is almost always a hassle and completely impractical. When you need to get to either airport on time, our executive car service would love to drive you there. An executive car service in Dallas can cost less money than spending gas driving in traffic to either airport plus the cost to park. Daily parking at either DFW Airport or Dallas Love Field comes at a steep cost with worry about the safety of your car for the duration of your time away. Our Dallas airport taxi service offers a clean, efficient and speedy method of airport transportation. 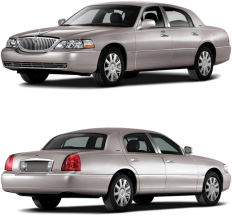 We are the premier car service to DFW Airport/Love Field and we provide luxury town car services for your ride. We also have several luxury Suburbans and limousine vehicles available at our DFW/Love Field car service that serve as our shuttle service cars to those airports. If you are traveling with a large group of have more luggage than normal, we will be happy to provide our luxury over sized vehicle for your use. When you need a car service to either DFW or Dallas Love Field, simply give us a call. We take both future reservations and calls for a pickup. We can send one of our town cars out to your hotel at a moment’s notice to provide a car service to all airport gates. Our airport car service has standard rates and we include flat rates for several people and large parties. Ask about our stretch limo luxury package airport transit to step your accommodations up a notch. As the premier car service to the Dallas Fort Worth airports, we look forward to serving you. Call or make a reservation online for your taxi to airport or general car service today!